Feature photo by thetravellinged. Photo above by jmhullot. From the Langtang Region to the Annapurna Circuit, this guide takes you through five of the most beautiful and rewarding treks in the Himalayas. When you walk the crowded streets of Thamel, Kathmandu you will be bombarded by signs advertising trekking tours, guide companies, and a number of shops selling new and used gear. And with good reason: the treks in Nepal, which wind through the world’s highest mountains, are unique in the world. The only problem is picking which one you want to do first. A trek through the Langtang region will take you to 4,700 meters (15,419 feet) with excellent views of both the Annapurna region to the west and the Makalu region to the east. The trek also passes by Buddhist monasteries and a nature reserve renowned for animal viewing. 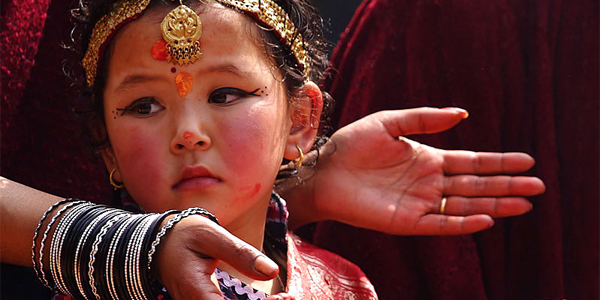 Perhaps the best thing about the 14-day trek is that it begins near, or even in, Kathmandu. This makes it very easy to organize and is an excellent option for those pressed for time or looking for an easy introduction to trekking in Nepal. For more information about trekking in the Langtang region, check out the excellent guide at Yeti Zone. Nestled in the Khumbu region, home to Sherpa and Tibetan Buddhist cultures, there are many reasons to visit this area of Nepal besides getting a glimpse of Chomolungma, as Everest is known to the people who live around her. Treks in the Khumbu typically range from 17 to 25 days, depending on the route. Though it was once popular to begin treks into the Khumbu from just outside Kathmandu, heavy Maoist activity in these areas has forced most trekkers to fly to Lukla, which sits at 2,680 meters (9,380 feet). From Lukla, most trekkers head straight for Namche Bazaar and then on to Gorek Shep, a small town that provides unparalleled views of Mt. Everest. Going all the way to Everest base camp or making the route a loop by visiting the Gokyo Lakes (highly recommended) will both add days to the trip. For help planning, the Yeti Zone has an excellent description of the Everest Circuit, including the Gokyo Lakes loop. The major trek in the west of Nepal is the Annapurna circuit. Reaching a height of 5,300 meters (17,388 feet), the circuit traverses the incredible mountains and glaciers of the Annapurna Conservation Area. 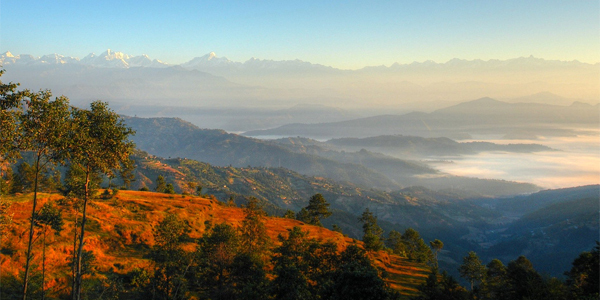 The circuit takes between 16 and 20 days from Pokhara, Nepal’s third largest city. Though the elevations are just as high as in Khumbu, the Annapurna Circuit begins near sea level and allows more time for gentle acclimatization. The Annapurna circuit is popular because it allows trekkers to pass through diverse terrain, from jungle to high alpine, and passes through a region dominated by Tibetan Buddhist culture. At one point, trekkers even have the opportunity to look into the heavily restricted Mustang Region, which extends all the way into Tibet itself. 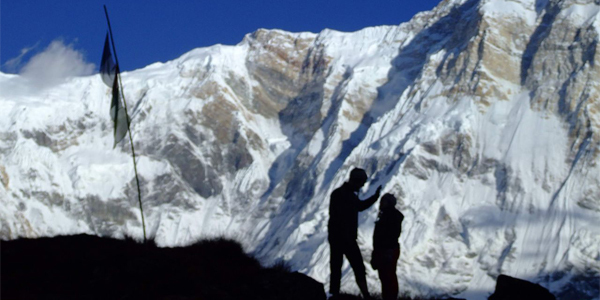 Yeti Zone also provides an excellent guide to the Annapurna Circuit. The Annapurna circuit itself does not actually go to the common base camp of Annapurna. It is the Annapurna Sanctuary trek, which also begins from Pokhara, that leads to the base of this impressive 8,091 meter (26,545 feet) mountain. 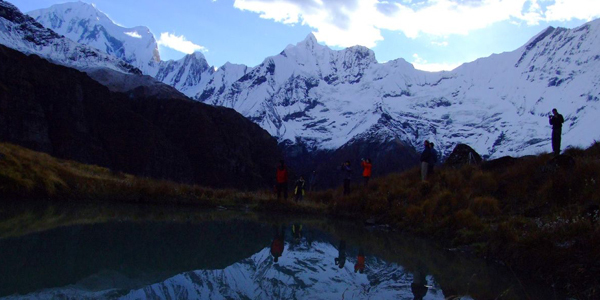 The trek takes between eight and ten days, round trip from Pokhara, and can be a real trial for the unacclimatized. 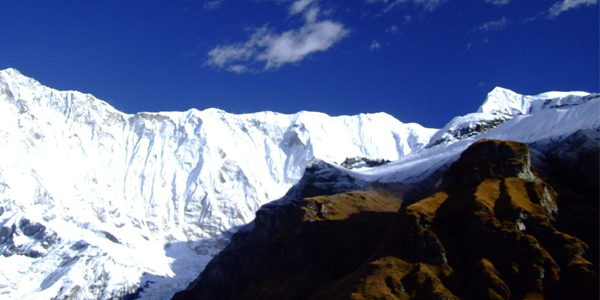 The base camp, at 4,157 meters (13,638 feet), can also be reached as an extension from the Annapurna Circuit. At the edge of the base camp is the memorial to Anatoli Boukreev. Boukreev, one of the world’s great mountaineers, was killed in an avalanche on the peak in 1997. For lovers of mountains and mountain lore, the experience is moving, to say the least. Matador Trips will be publishing a detailed guide of the Annapurna Sanctuary trek later in August. If you are looking for something a bit more remote and much less traveled, the trek to the base camp of Mt. Kangchenjunga (8,586 meters, 28,169 feet) may be just the thing. It is best to plan at least 20 days to reach the base camp of the world’s third highest peak and return. Unlike the other treks on this list, the amenities on the Mt. Kangchenjunga route will be basic. While a tent is not required, expect meals of daal (lentils), rice, chapati (an unleavened bread), and the occasional vegetable curry. Well off the beaten path, the Kanchenjunga Circuit is a great way to spend time with local Nepali people far away from the hordes of other trekkers who flood more popular treks in peak seasons. For more information on the Mt. Kanchenjunga Circuit, check out Andris Bjornson’s excellent guide at Matador Trips. Check out the organizational profiles of Matador members offering volunteering opportunities in Nepal, including The Red Panda Project and The Everest Peace Project. Do you have an organization doing great work around the world? List your organization with Matador today!